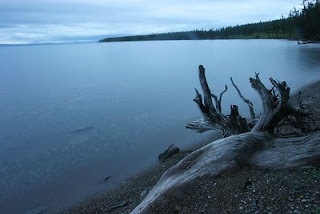 Situated in northern Mongolia, right at the Russian borders, lies Lake Khovsgol, second largest lake in Mongolia. I extended my trip in Mongolia, having spent 2 weeks in South Gobi, to go to the north to see this lake. I took a flight from Ulaan Bator to Murun, the nearest town with an airport. While the flight itself is only an hour or more, there was a flight delay that left me 4-5 hours behind schedule. And the journey from airport to the guesthouse near the lake that I signed up with, was a whole 3 hours or more, so when I finally arrived, it was like 11pm!! 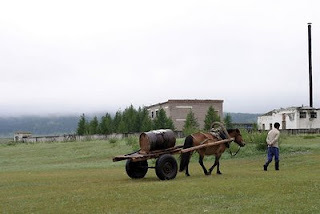 I had 3 days at Lake Khovsgol, but unfortunately, it was overcast and drizzling all the time I was there. Thus, I could not witness the actual beauty of the place. Nevertheless, the grandeur of the lake is evident. 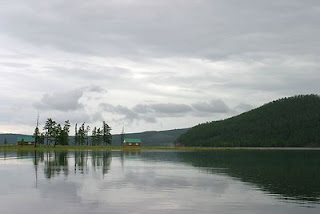 The lake is also the source of fresh water for the entire Mongolian people around the region. From washing, to cooking, to drinking, all the water comes from the lake. Interestingly, here at Lake Khovsgol, a transport route opens only in winter. While I often hear of passes being closed in winter due to heavy snow etc, this is just the opposite. Apparently, in winter, the lake freezes over, and the surface ice is so thick that trucks and cars can travel over it, right into Russia! Amazing huh! 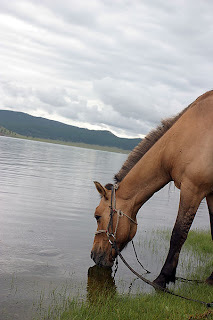 The experience at Lake Khovsgol is definitely very different from the Gobi. Thus, if you have enough time, a trip up north from a normal Gobi Mongolian trip is highly recommended!! very interesting trip to Mongolia, truly amazed through your pics. 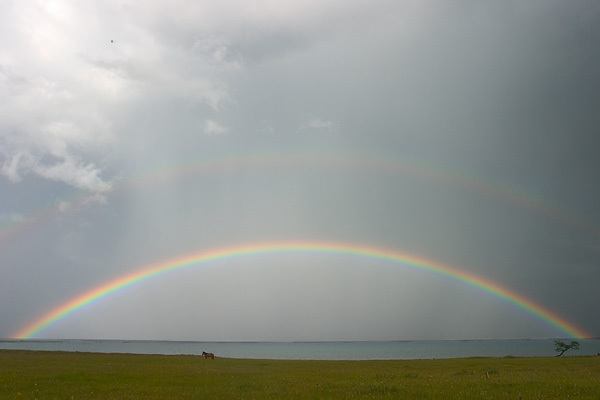 And I love that double rainbow!